In modern times, Satan’s great triumph has been to undermine this concept of society. Above all, he has sought to destroy in the minds of Christians the idea of this fight between good and evil. Thus, he employs several strategies to keep Christians out of the good fight. He has sought by all means to cause mankind to disbelieve in him. He encourages a culture which spreads the idea that he does not exist or is not a threat. Once his existence is called into question, it is only a small step to convince mankind that moral evil in any form also does not exist. Hence, disbelief in Satan destroys the need to fight against evil and our vices. Evil becomes a kind of disease that can be cured by proper psychiatric or medical treatment. People are led to believe that bad things happen because people are ill-informed or uneducated. Others claim that evil deeds are the result of adverse circumstances or oppressive social structures. Satan does everything possible to promote a society that denies the idea of a fight between good and evil, and therefore between God and himself. He promotes the defect of getting people to not hate evil. To disbelieve in Satan is to be logically committed to a disbelief in God. By this strategy, the devil deprives us of our greatest and most powerful support in the fight against evil. He deprives us of the means for victory since God will always triumph over the devil. By promoting disbelief in God, it is easy to convince Christians that moral good does not exist. Rather, any good is merely an emotional state without any real value. Good is a feel-good condition for weak individuals. “Good” people must not fight evil but must constantly make concessions and show “compassion” to evil. Above all, society must not promote a concept of a moral good since good is merely a matter of opinion. Even by destroying the notions of good and evil, the devil finds it difficult to get society to practice outright evil since it is so contrary to our nature and good order. Often the devil needs to disguise evil in order to lead Christians and all society to perdition. Satan is an expert in determining the proper moment to attack. He watches society and understands its dispositions, needs, desires, and circumstances. He knows that he will be defeated if he suggests outright evil to an upright people. Thus, he will confuse his victims by disorganizing their feelings; he will suggest something seemingly praiseworthy as a means for deviating the person to an evil end. He will lead and confuse all society to perdition by proposing that men seek after things that appear helpful but really are not good. He will disguise the evil of abortion, for example, as an act of “compassion” for women. Satan suggests to us that the satisfaction of our own needs, desires and ambitions (however legitimate they may be) is more important than doing the Will of God. He promotes a society where the rule of money prevails and God’s honor is put aside and forgotten. Finally, Satan seeks to change a people’s priorities by favoring a culture that encourages people to center upon themselves, even to the point of satisfying legitimate desires. Indeed, Satan tried to do this with Christ Himself when He suffered hunger after fasting for forty days and nights. 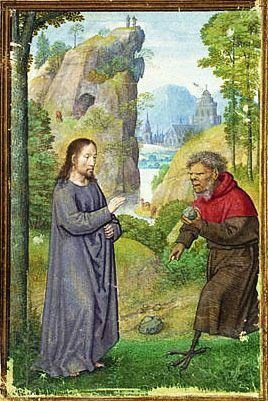 “And the tempter came and said to Him, ‘If Thou be the Son of God, command that these stones be made bread’” (Matt. 4:3). Saint Thomas Aquinas speaks of this action of the devil as a deordinatio, a perversion of the proper order of things. By Original Sin, we tend toward evil and disorder. Satan capitalizes on this tendency by turning things upside down. He suggests to us that the satisfaction of our own needs, desires and ambitions (however legitimate they may be) is more important than doing the Will of God. He promotes a society where the rule of money prevails and God’s honor is put aside and forgotten. To fight the action of Satan, we must be convinced that God “will not allow us to be tempted beyond our strength” (1Cor. 10:13). God allows temptation but He also checks and restrains the tempter. By suffering and resisting temptations with God’s help, we can be strengthened and increase our sanctity. When all society resists Satan, it leads to an order that is conducive to virtuous life in common. 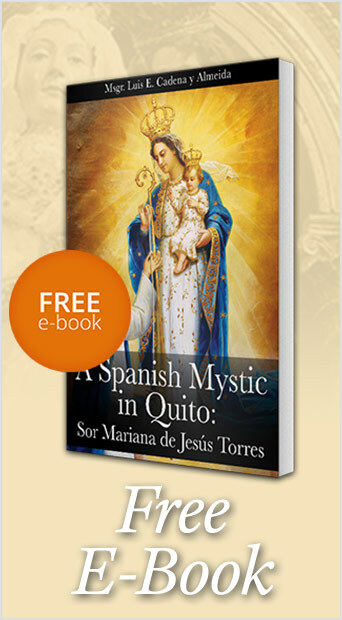 When Satan employs these strategies against us, we should immediately have recourse to God and the Blessed Mother. We should engage in this cultural fight that Satan promotes. In so doing, we can humiliate the devil by showing him his powerlessness against the Grace of God. Saint Thomas teaches that God allows the just to be tempted to show them the greatness which grace bestows on them. In other words, as long as we are engaged in the fight against evil, we can be assured of victory and a return to order. God controls the devil and will assure his defeat. 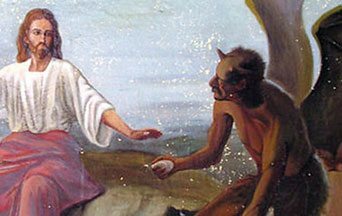 This entry was posted in Catholic Perspective and tagged Christian order, Christian society, Four Strategies Satan Uses Against Christian Order, God's honor, notion of good and evil, strategies Satan uses by John Horvat II. Bookmark the permalink.